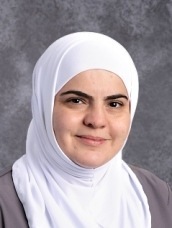 We are thrilled to welcome Ms. Aziza Al Sakkal as a First Grade teacher at Al Fatih Academy! For sixteen years, she has taught in international schools in Damascus, Riyadh and Jeddah. Ms. Aziza received her BA degree in English Literature from the University of Damascus, Syria. She has training in course planning, creative thinking skills, traits of writing, and five years intensive training in the International Baccalaureate Primary Years Program. Above all, Ms. Aziza believes that schools should prepare students to become caring, active lifelong learners who show respect for themselves and others and have the ability to participate in the world around them.